I know you’re out there – those of you who, like me, think the best thing to come along in the summertime are fresh tomatoes. Mainly because I can eat them with peanut butter: the greatest legumes ever puréed to resemble a spreadable option with bread. And if you go with an open-faced option you can easily consume an entire tomato all by yourself in one meal! 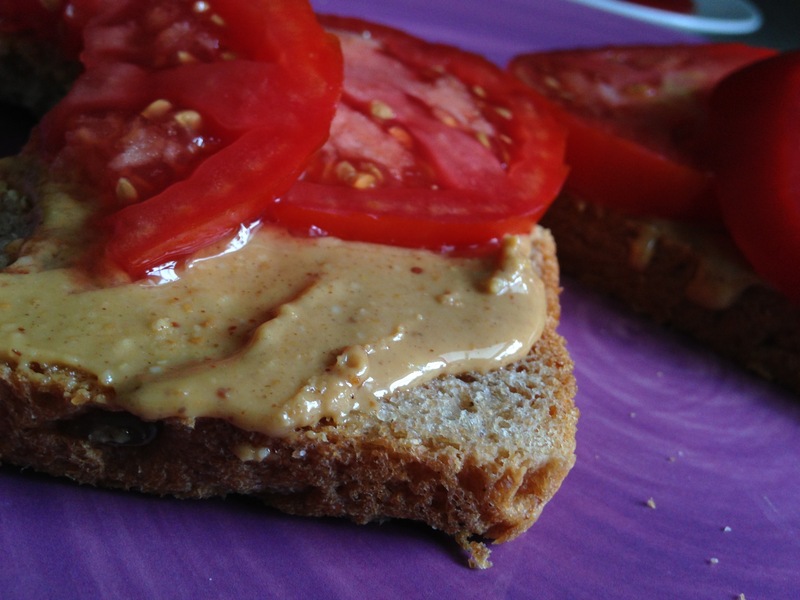 If you really want to go crazy you can always toast your bread first, inviting the peanut butter to melt down into its craters before you layer it with tomatoes. Give me some alternatives. How do you like to eat your tomatoes?